the validity of the “Out of Africa” concept. more ancient common ancestor, thus forming a proverbial fork. put a proverbial dent in the “Out of Africa” theory. 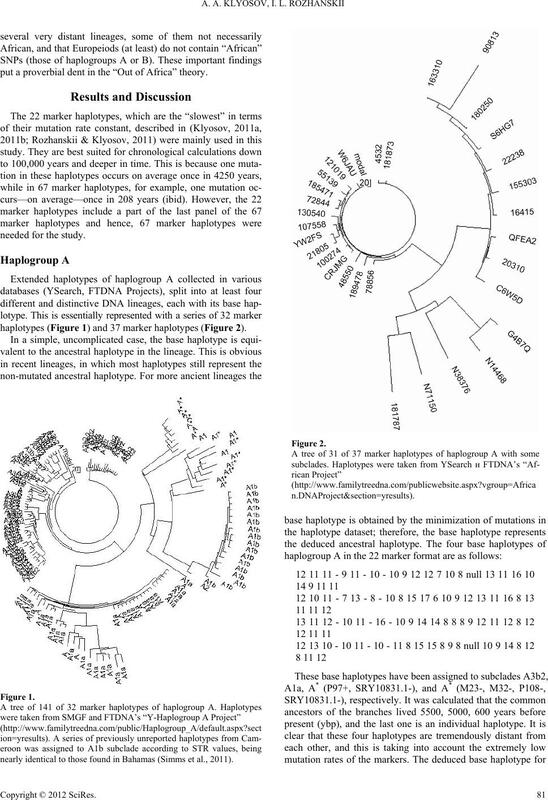 haplotypes (Figure 1) and 37 marker haplotypes (Figure 2). nearly identical to those found in Bahamas (Simms et al., 2011). be, slightly lower values of timespans to a common ancestor. translates to 123 thousand years (see above). call it “Adam” or not. 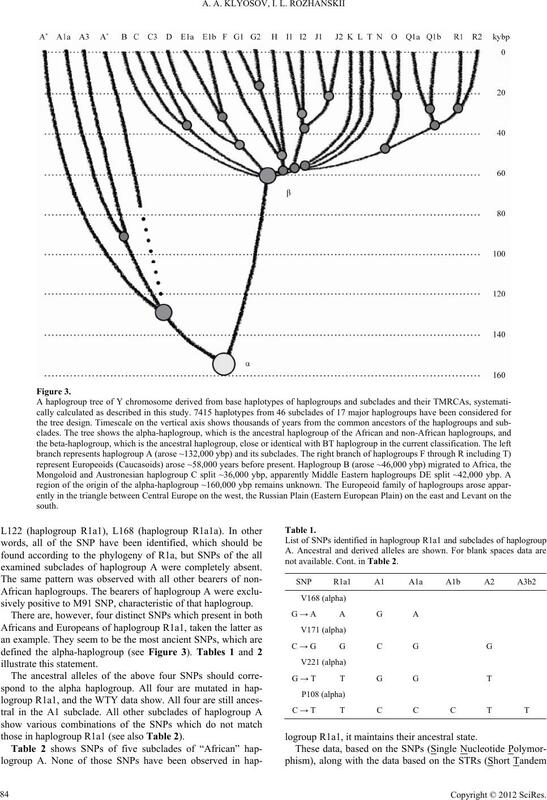 Figure 3 shows a topology of the current haplogroup tree. the west to Korea and Japan to the east. region, recently or in the long past. logroup B SNPs) in their Y-chromosomes. 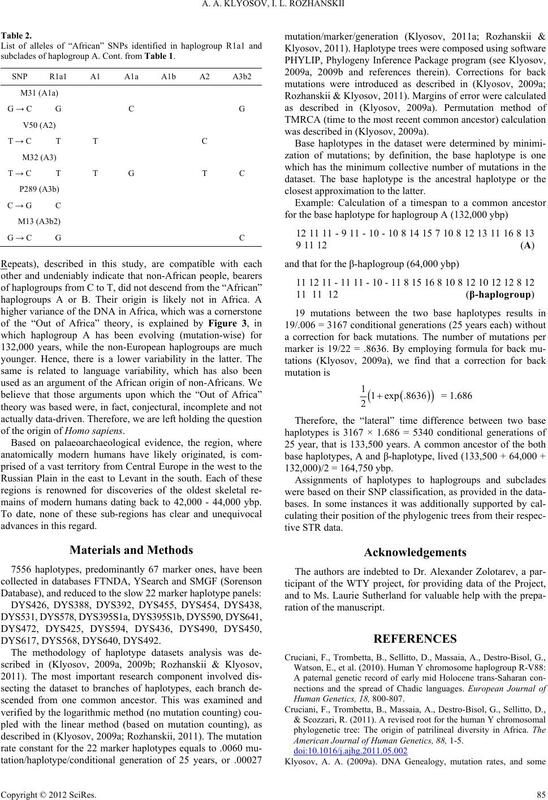 examined subclades of haplogroup A were completely absent. sively positive to M91 SNP, characteristic of that haplogroup. not available. Cont. in Table 2.
those in haplogroup R1a1 (see also Table 2). logroup R1a1, it maintains their ancestral state. 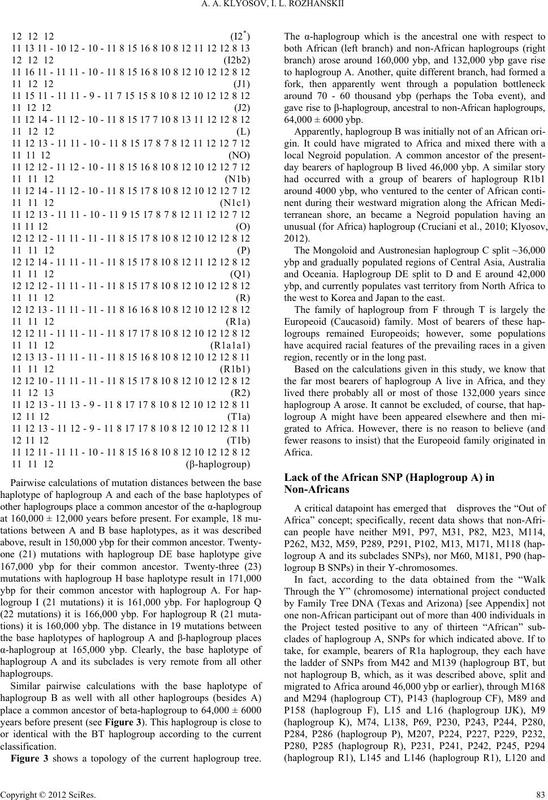 subclades of haplogroup A. Cont. from Table 1.
of the origin of Homo sapiens. mains of modern humans dating back to 42,000 - 44,000 ybp. was described in (Klyosov, 2009a). 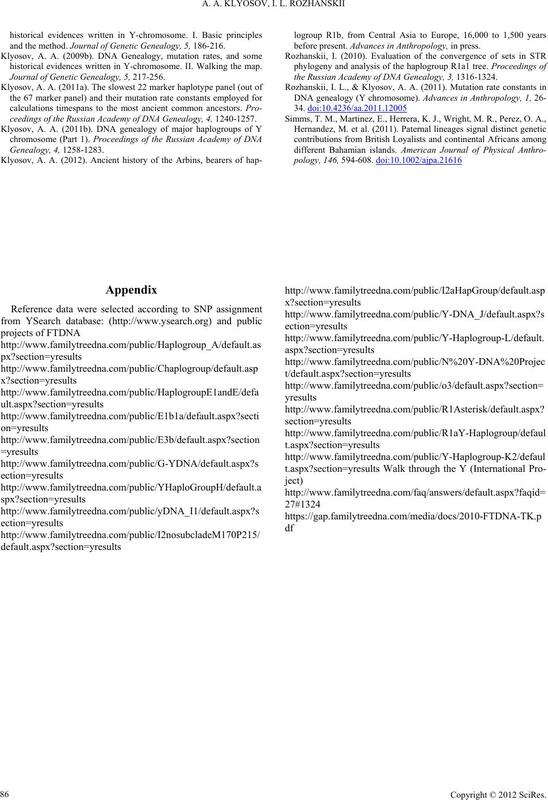 American Journal of Human Genet i cs , 88, 1-5.
ceedings of the Russian Academy o f DNA Genealogy, 4, 1240-1257.
before present. Advances in An th r o p o l o g y , in press. 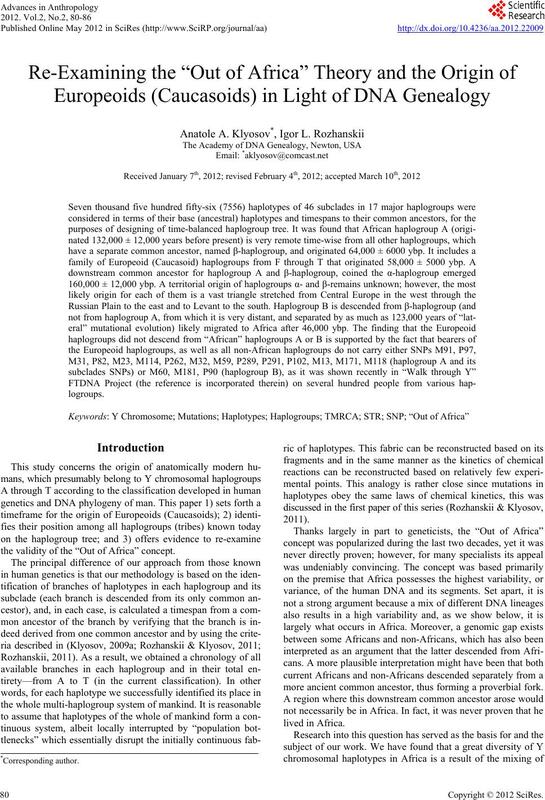 the Russian Academy of DNA Gene al o gy , 3, 1316-1324.